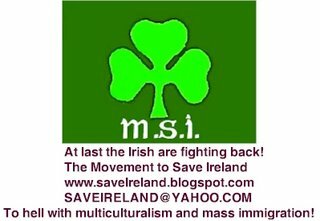 Well my friend just asked me to google “Movement to Save Ireland” and i found this. They seam not to like the BNP only cause their Zionist. But their a ‘racist homophobic group’ as my friend names em. They even post against the Pride Parade in may with a picture of Me Seriously Pissed off now!!! !